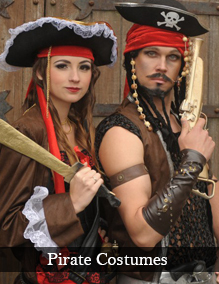 Medieval Castle Beauty fancy dress costume. 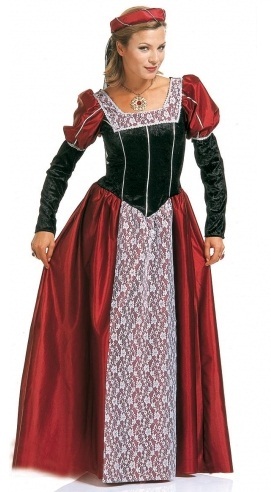 Medieval costume includes red and black dress with velveteen bodice and white lace overlay. The headpiece with veil is also included..